2X Membership Rewards points on the first $50,000 in purchases each year. 1X Points on purchases thereafter. 0% Intro APR on purchases and balance transfers for 12 months. Note the usual language regarding the welcome offer. This is a newer card, but you can only get the welcome offer once per lifetime. If you value any of these miles at more than 1 cent per mile, then you would be getting more value than a 2% cash back card. For example, this card can earn the equivalent of 2 Delta miles per dollar spent. If you don’t expect to get at least 1 cent per mile value, then you should stick with a 2% cash back card. Business credit card eligibility. Many people aren’t aware that they can apply for business credit cards, even if they are not a corporation or LLC. Any individual can be a small business. Perhaps you sell items on eBay, Craiglist, or Etsy. Maybe you do some graphic design, web design, freelancing and/or consulting. If you received a 1099-MISC tax form and filled out a Schedule C, that means you have business income, you pay self-employment taxes, and you’re a sole proprietorship. This is the simplest business entity, but it is fully legit and recognized by the IRS. On a business credit card application, you should use your own legal name as the business name, and your Social Security Number as the Tax ID. This card will require you to personally guarantee that you’ll pay them back what you charge on the card, which means they’ll check your personal credit score like any other consumer card. However, as the card is a business card, American Express won’t have it show up on your personal credit report, so it won’t change things like your credit limits, average account age, or credit utilization ratio. Bottom line. 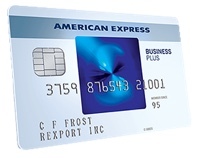 The Blue Business Plus Credit Card from American Express is a unique small business card in that it earn 2X Membership Rewards points on ALL purchases up to $50,000 per year with no annual fee. The ability to transfer to miles means that you’re effectively earning 2X miles per dollar spent with no annual fee. Finally, linking this card also allows you keep Membership Rewards points earned from other cards active while having no annual fee. If you have a side (sole proprietor) business that doesn’t generate much income, would Amex issue you a card? When they ask for income, do you provide self employed income info only? 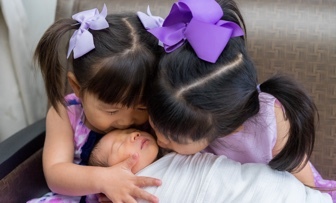 Or do they factor in the entire household income including W2s? Unless you don’t have any credit cards with Amex, they should be fine with your side business for opening up this card. I’d include household income, but be prepared to answer questions about business if needed (Amex isn’t as picky as Chase per se). If you combine this with the Amex Charles Schwab Platinum it turns this card into a 2.5% cash back redemption. Might not be worth it for everyone with the annual fee but nice for those that already have it.